The project then gets a thin coat of primer and airbrushed. 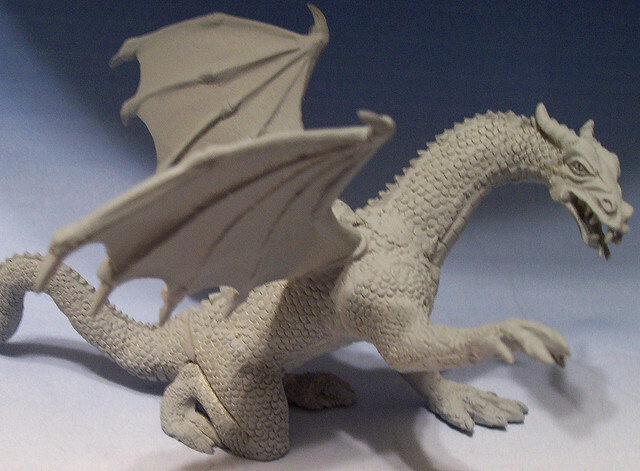 The color of primer and airbrushed base coat depends on the final color of the model. Â If a brighter color scheme is needed, then it’s best to go with a light colored primer. I use grey and sometimes white. Â If a dark coloring is going to used, then dark neutral colors such as browns and dark greys are appropriate. Â I use a black primer and base coat only if most of the model will be black or close to it.